David G. DeWalt, a University of Delaware alumnus who has been named one of the 25 most influential executives in high technology, will speak at the University's 166th Commencement exercises May 30. 12:01 p.m., April 9, 2015--David G. DeWalt, a University of Delaware alumnus who has been named one of the 25 most influential executives in high technology, will speak at the University's 166th Commencement exercises, scheduled at 9 a.m., Saturday, May 30, in Delaware Stadium. Commencement, which is free and open to the public, is held rain or shine. In case of inclement weather, the ceremony may be shortened. "We are honored to have our alumnus Dave DeWalt, who is one of the nation's leading experts on technology, cybersecurity and mergers and acquisitions, return to his alma mater to deliver this year's Commencement address," said Gil Sparks, chairman of the University's Board of Trustees. "Dave's inspiring career -- from award-winning student-athlete to respected CEO -- demonstrates the powerful potential when talent and drive combine with daring and resolve." "It is most fitting to have our newest graduates addressed by a fellow Blue Hen who has made such an impact in our world," said Jeff Garland, vice president and University secretary. "Dave DeWalt's expertise in the areas of cybersecurity and technology promise a timely and enlightening address." DeWalt, who earned his bachelor's degree in computer science from UD in 1986, is chief executive officer and chairman of the board of FireEye Inc. He joined FireEye, a leading cybersecurity company, as board chairman in June 2012 and was appointed chief executive officer in November 2012. FireEye today has more than 2,500 employees worldwide and over 3,100 customers across more than 67 countries, including over 200 of the Fortune 500. As a result of this unprecedented success, FireEye has become a focal point for the media, industry analyst and investor communities that follow the world of cyber security. 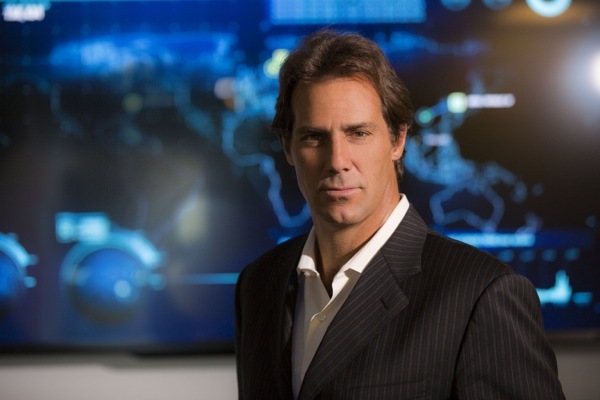 Before FireEye, he served as president and chief executive officer of McAfee Inc. and led the acquisition of McAfee by Intel for $7.7 billion in 2010. This is Intel’s largest acquisition to date. Prior to McAfee, DeWalt oversaw customer operations and sales at EMC Corp. His responsibilities included channels, alliances and partners, product sales, global accounts, vertical programs and field business operations. He also led EMC’s content management and archiving software business. Responsible for a more than $4 billion business, DeWalt was promoted three times, ultimately becoming president of software, sales and services. He joined EMC in 2003 when EMC acquired Documentum, the global leader in enterprise content management. As president and CEO, DeWalt led Documentum through nine consecutive quarters of growth, five record revenue quarters and four successful acquisitions before leading the sale of the company to EMC for $1.9 billion. Before Documentum, DeWalt was founding principal and vice president of Eventus Software. He also held various executive positions at Quest Software, Segue and Oracle Corp.
Over the course of his career, he has helped build companies from startup to midsize to some of the largest. A true expert in acquisitions, he led the sale of McAfee, Documentum and Eventus and has acquired more than 50 companies over the course of his career. In 2009, DeWalt was named one of the 25 most influential executives in high technology by the readers of the industry publication CRN. He has spoken at the World Economic Forum on the issue of cyber security and keynoted at several technology industry conferences including Interop and Software 2008 and RSA. DeWalt serves on the boards of Delta Airlines and Five9, and he was previously on the boards of Jive Software and Polycom. A member of the World Economic Forum IT and telecom industry board of governors, he was appointed by President Barack Obama to the National Security Telecommunications Advisory Council (NSTAC) in 2011. As a recognized expert on mergers and acquisitions, DeWalt is the author of Making M&A Work. He is a frequent guest on international business broadcast programs, appearing regularly on Bloomberg TV, CNBC, CNN and Fox Business. When he was a student at UD, DeWalt was a competitive wrestler, setting a school record with three East Coast Conference titles, advancing to the NCAA championships three times and becoming the first wrestler to be inducted into the Delaware Athletics Hall of Fame. In 2002, DeWalt was awarded the University's Presidential Citation for Outstanding Achievement, which honors distinguished alumni who have shown great promise in their professional careers or public service activities. For more information on the May 30 event, please visit the special Commencement website. Official hashtags for Commencement are #UDGrad2015 and #BlueHensForever.